Friday 11th January 2019. 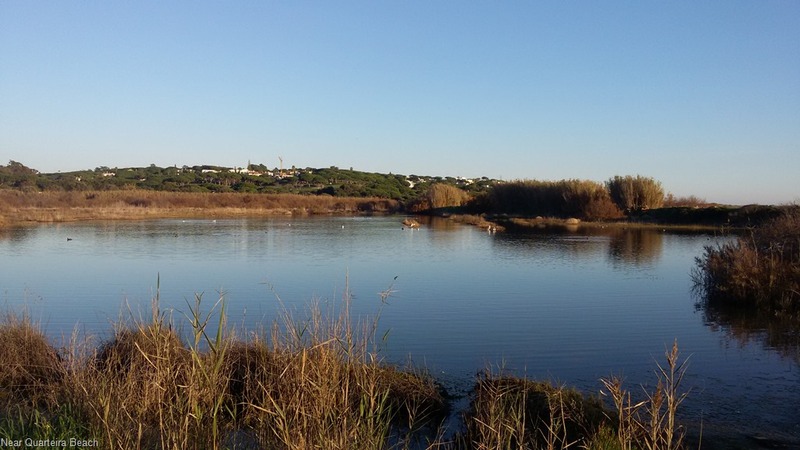 After two days parked by the side of a lake near the beach at Quarteira we really needed to fill with water so moved the 3 km up the road to the large Camper Stop. Unfortunately we arrived at the same time as everybody else so there was quite a queue for the services. While Steve was trying to persuade some French Campers that just because they had come the wrong way round, they didn’t have a right to jump the queue when others had been waiting much longer, Judy was having an easier time talking to some Brits who told her of a great spot not far away called Tomato Beach. After the fill-up we had a nice afternoon sitting in the sun albeit in a car park, then a large fairly old luxury motorhome called a “Clu Liner” parked up behind us and the owner proceeded to lift screens to produce a sun deck on the roof complete with table and chairs, everybody was fascinated. As with all pictures on our blog, click the one on the right to bring up a larger version so you can see what we mean. There was a PiriPiri Chicken take-away across the road, this is the traditional Portuguese speciality which we really like, so that was dinner sorted, our first PiriPiri since we arrived in Portugal and it was very nice. On researching after dinner Tomato Beach, proved to be quite allusive, not appearing in any of the books or apps we had. But eventually “Mr. Google” came to the rescue and Steve managed to find the coordinates, so Saturday morning after another brush with a Frenchman who had stopped over the dumping manhole and refused to move until he had filled with water while six people stood there waiting to use it! The French have really managed to get a very bad name for themselves with this sort of inconsiderate behaviour, a bit like the British Lager louts who have badly labelled the Brits overseas. Obviously it’s a minority but we seem to encounter them wherever we go and it does give French “Camping-Caristes” a very bad name, (sorry rant over). Tomato Beach; N 37.080593, W 8.141154, was only about 10km along the beach but a 26k m drive because there was a river in the way with no nearby road bridge. But when we found it, it was great, a very large, closely mown, grass field behind the car park of a restaurant which was closed and dismantled for the winter. About twenty motorhomes were parked there. No services, but we don’t need any for a week or so. The following morning we found out how the field came to be closely mowed: While we were having breakfast about a hundred sheep & goats came over the hill behind us and started grazing on what grass was there, the goats were eating the low foliage on the trees, while the shepherd and his dogs sat and looked on from the hill. Suddenly after about half an hour, with a whistle from the shepherd they all turned and headed back where they came from with the dogs rounding up the few stragglers who were reluctant to leave their breakfast. The beach was only about 50 meters away with long walks in both directions. The first day (after the sheep) we walked all the way west to Villamoura Marina amongst all the luxury Yachts, the next day was towards Albufeira, really nice walks. The next day we took Suzie the Scooter out to Albufeira but unfortunately the tourist parts of the town were mainly closed for the winter or at least many bars and restaurants in the square were but we did find the restaurant we had enjoyed two years ago which we were introduced to by an American couple we had met, and we had a really nice lunch, PiriPiri Chicken again, of-course. On the way back we called in to two Camper Stops to enquire about dumping waste and refilling with water, both provided the service for €3. We wouldn’t like to stay at either though because the campers were parked so close together, we prefer where we are. 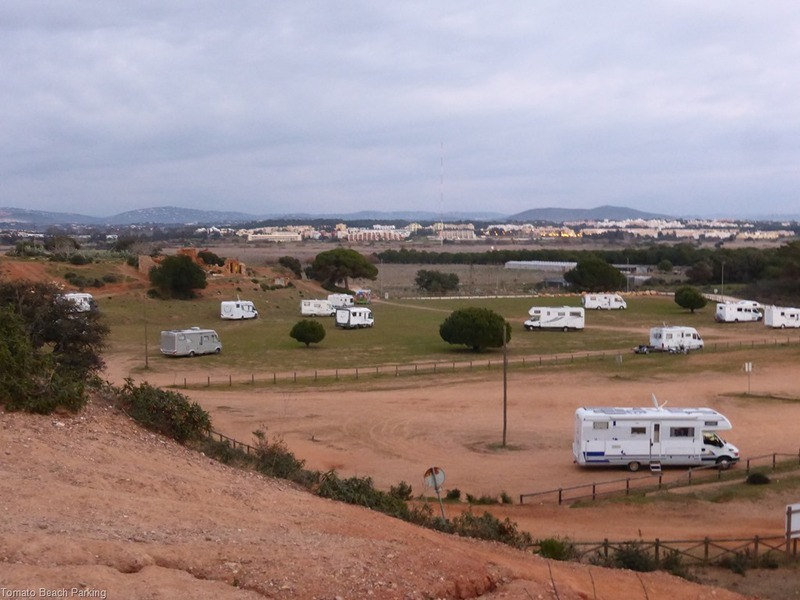 After four days we, for some reason, decided to move on to the Barragem do Arade (reservois) just north of Silves. I think we were hankering for the great walks we had enjoyed last year, perhaps we can return to Tomato beach on the way back. We actually had exactly the same spot and met most of the people we had met last year and some new ones, but unfortunately the weather turned quite cold so we only had relatively short walks and did quite a lot of reading in the van. Another Funster J.J. who is full time in Portugal was there again and very kindly let us connect to his 4G WiFi as he had an unlimited contract. 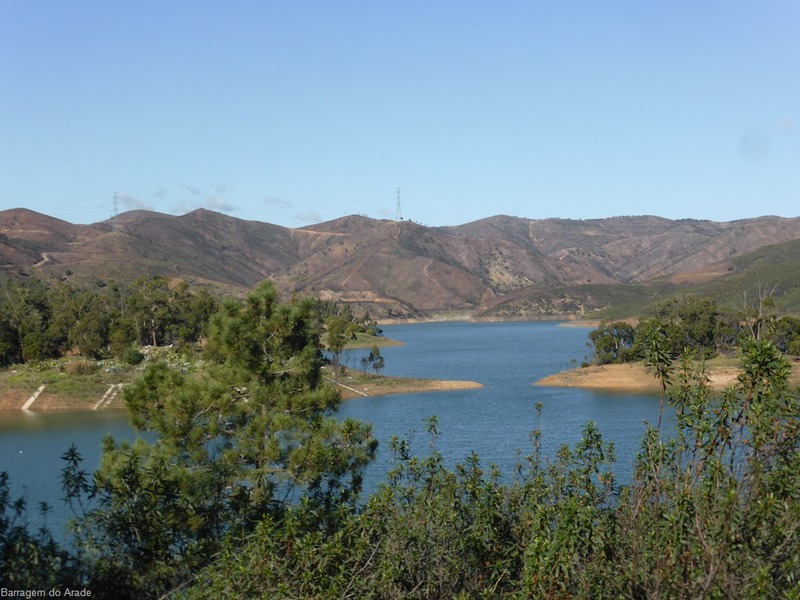 One day we took Suzie out and drove all round the lake to visit the large dam at the end then on to São Bartolomeu de Messines for a look around. When we were out on Suzie at New Year we had to fill up with fuel for the first time and were staggered to find we could only get 3.78 litres in the tank when the gauge was on the red. This time again the gauge was on the red so we pulled into a petrol station and managed 4.09 litres after 166 km driving which equates to 115 mpg really good and quite surprising just how far we had driven on our great little scooter. After four days with dull weather our batteries were getting a bit low so we decided to move on to Silves just 12 km to a Camper Stop where we could plug in to recharge, do a bit of shopping in the very nice new Lidl and also visit a little restaurant where we had our first ever experience of PiriPiri chicken last year. Since the new year we had both started on the 5:2 diet, or as we do the 4:3 which means that we greatly reduce calories and no alcohol on Monday, Wednesday & Fridays then eat and drink fairly normally but carefully the other days. We forgot to bring our scales with us this year but already Steve has had to reduce his belt by nearly three inches and has visibly reduced his tummy and Judy has noticed a good reduction as well. Because of this regime we can only go to restaurants on the non-fast days which meant we had to stay on the Camper Park for two days so we could dine out on Tuesday but we had a very nice spot and were not as closely packed as the ones we had visited the other day. The restaurant where the chicken was cooked on a barbeque at the roadside was better than we remembered and the best PiriPiri chicken yet. 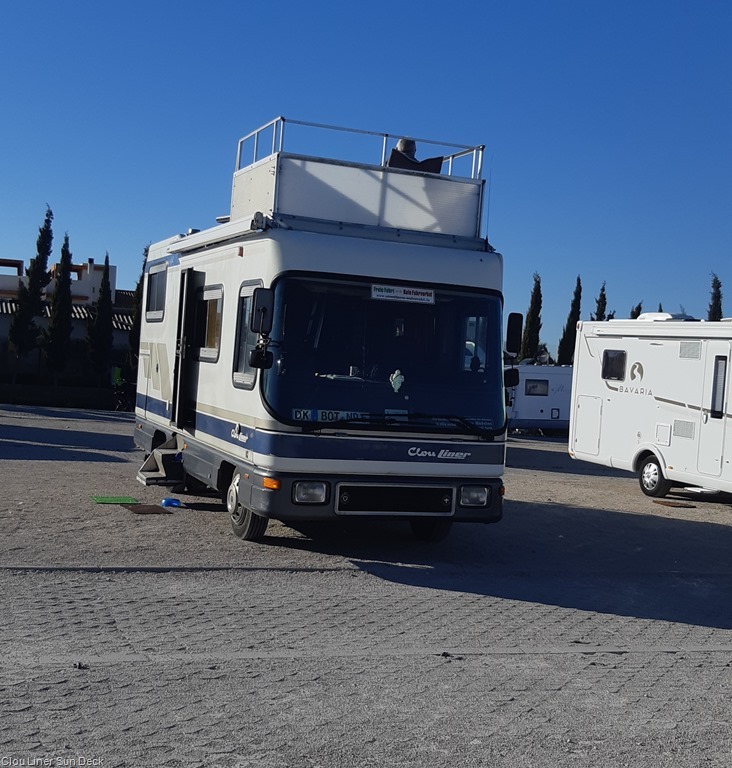 So on Wednesday 23rd January 2019, we packed up and moved on just 25 km to Alvor and filled up with LPG on the way.